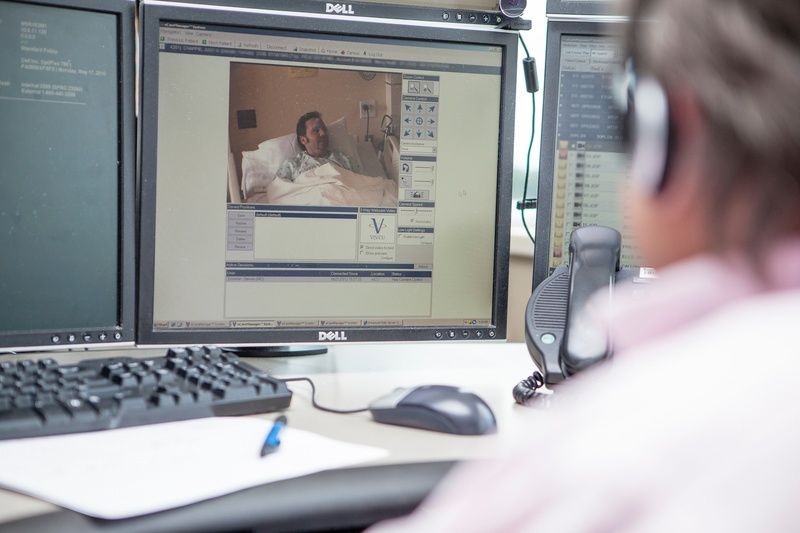 Through numerous partnerships, the telemedicine hub is expanding its reach. A conversation about telemedicine is all but impossible without mention of Mercy Virtual Care Center. Two and a half years after its opening, Mercy remains a "bedless" hospital and the only facility of its kind fully dedicated to telehealth. Through numerous partnerships, the telemedicine hub is expanding its reach. 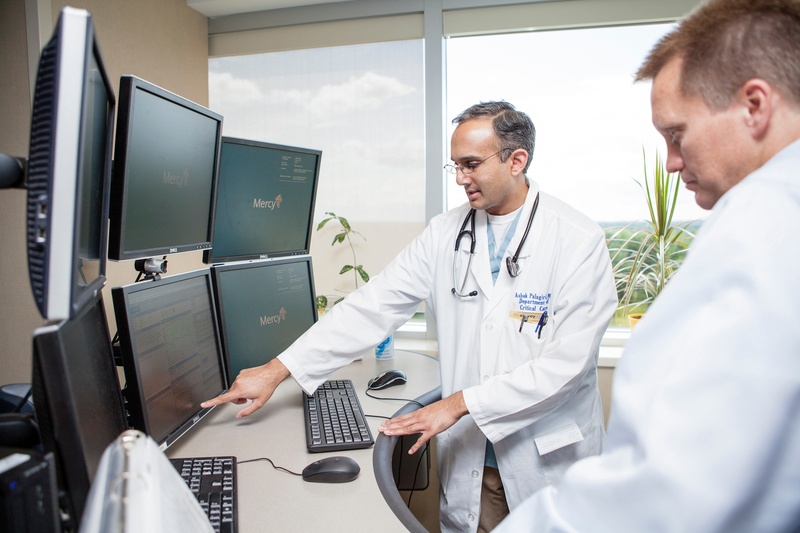 At Penn State Health Milton S. Hershey Medical Center, virtual monitoring has already resulted in earlier intervention and shorter ICU stays for patients. What's the current status of the partnership with Mercy? We're about halfway through the process of installing the camera and equipment in the rooms. We have a few live units and when we're finished we'll have monitoring in a medical ICU, a medical IMC, a surgical IMC, the heart and vascular ICU unit, a critical care unit, and a surgical ICU. The first unit was the toughest. 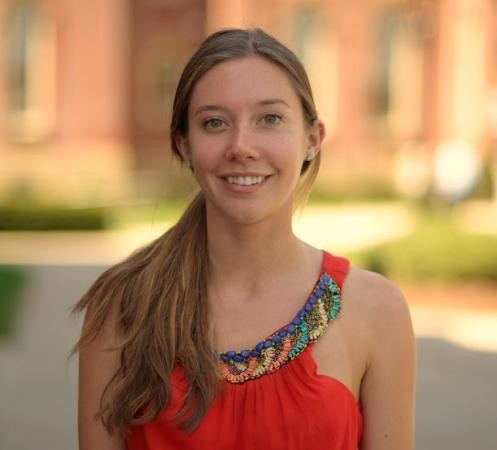 There were a lot of moving pieces and parts on the cybersecurity side and learning how to do all of this, and at the same time, we were developing a relationship between Mercy. The intent of the partnership is to expand over time and become a hub for virtual care in Pennsylvania for other hospitals in the region. How is virtual care benefitting patients? I think the biggest benefit center around quality and safety. We’re not employing virtual care to replace physicians, but really to have a second set of eyes. It's assisting care, not replacing it, and it's a safety net for patients. It's also an advantage for staff members, enabling quicker care delivery that's backed by algorithms and real-time data. We chose to do it here on the main campus so we’d be able to provide these services for other affiliate hospitals within our health system. It's been great to leverage Mercy’s expertise to expand our own capabilities so we can do it for others. Can you walk me through the physical set-up of the virtual care? How exactly does this “second set of eyes” work? Essentially, what you see in the patient’s room is a speaker mounted on the ceiling for two-way audio. A button activates the system. There’s a footwall in front of the patient with a camera that looks like an eyeball, and a box with a computer monitor attached to that. In the patient’s room, that camera faces the wall and points down, so it's not live. It only activates when there’s a problem in the room that’s been noticed by staff, or there’s something recognized on the far end in St. Louis [where Mercy Virtual is located]. There’s a doorbell which signals when the camera is live, and you’ll see the staff face, name, and title appear, and then they're able to speak to the patient in the room. On the Mercy side, one nurse can watch 40 patients a time. A critical care physician can watch 125. The Mercy staff will alert doctors and nurses to any trouble signs, and intervene if no one is in the room. In St. Louis, the distant care unit (which eventually will be housed in Hershey), monitors different data flows all over the screens. Using algorithms developed by Phillips (the proprietary system most teleICUs use), they can bubble the sickest of sick to the top. This data allows staff to quickly identify whose conditions are changing either for the better or worse, through a series of visual cues called orbs. It’s almost like a tic-tac-toe box, except each square represents a body system. It takes data from electronic health records, blood pressure readings, arterial line readings, EKG tracings, etc. and gets run through the algorithm to identify patients that need care the most. The data helps intervene before some patients even experience symptoms. Have you encountered any issues concerning privacy? We explain to the patients what the equipment is there for: to be supportive of the care provided locally. It's a supplement, not a replacement. We also assure them nothing is ever recorded from an audio or video standpoint. It only captures what’s going on at that moment in time. In general, it’s very well-received by patients and their families. A lot of times ICU patients are not awake, alert, or oriented, and many are on ventilators, so creating this safety net is important. It's more of a transition for the staff. How have you managed the transition with the staff? As an organization, we had never installed a system like this before, so multiple interfaces and streams of data had to be shared between here and St. Louis. Our technical support staff had never dealt with these kinds of systems, while our interface teams had never done these types of interface builds. On the facilities side, there was concern about being able to adapt the technology in different areas, with some buildings dating back to 1965. There were a lot of infrastructure considerations, including wall types, code changes, different ceiling heights, lifts needing clearance, lighting and power, and more. Whenever you're adding a technology to clinical workflow, there are questions from staff about how it’ll add to their physical daily routine. Nurses want to know, “How do I do this when I round?” It’s a real transition and we’re still working on that engagement, but the feedback has been encouraging. What kind of feedback around the partnership have you received so far? By having the technology and data capture in general, Mercy is able to give feedback to us from the system to share how many patients return to the unit. These results have been very positive. We’ve seen an improvement in the number of patients discharged from ICU, as well as the number of discharges who don’t return, which is great. We’ve also been able to use it effectively as a teaching tool, as it provides many teachable moments for a resident on what to do or not to do. Our nurses appreciate the support when they're pressed for time. When they need to do a skin assessment or some sort of test, they’re able to interact with the Virtual Care Center, who can document the information on the part of the bedside nurse to save them valuable time. That’s where the value of the partnership comes in. The distant care center focuses on monitoring the data streams and identifying signs of trouble, allowing our staff to focus more on the patients and less on the machines. Mercy is gathering these analytics 24/7. 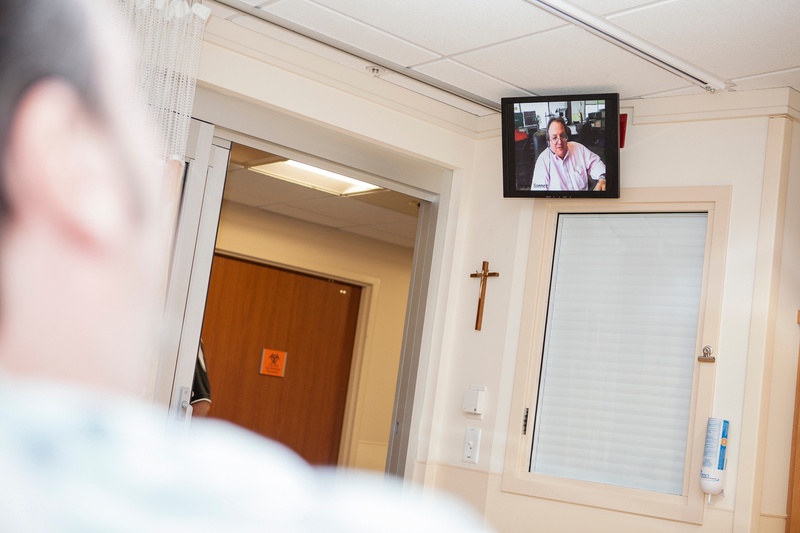 Do you see a possibility of telehealth and virtual care replacing physicians? If you look at the literature and listen to the experience of many teleICU providers out there, having these kind of systems actually is looked at as creating a more desirable place to work. So it’s really a recruitment and retention tool. 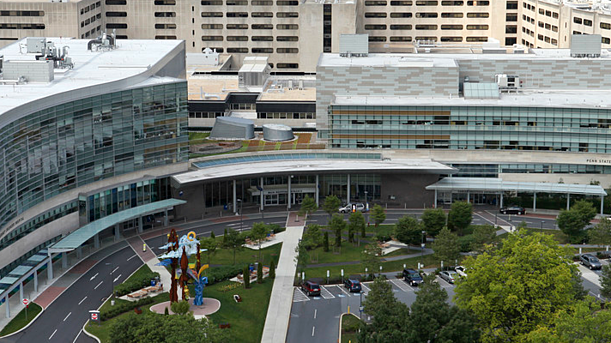 What’s next for Penn Health in the telehealth space? There's no doubt this is the direction healthcare is moving toward, and we are looking to develop other telehealth platforms beyond the ICU. Some are functional now and doing very well. We have one that’s built to provide services to make sure patients receive the right care at the right time, rather than being transported two hours away. We're starting a program in dermatology where patients in community-based settings can have pictures of suspicious lesions sent to specialists. There are acute-care offerings in development and we’re really focused on getting into the direct consumer telehealth space and homecare engagement. Part of the beauty of the Mercy partnership is that they’ve been in this space for 10 years and are looking for like-minded partners for regional providers. They bring that experience and expertise to help us develop programs to help the communities we serve, as we develop our own roadmap. Telehealth is an area growing in leaps and bounds, and it’s a very exciting space to be in.